Bram Stoker’s Dracula is the iconic novel of 1987 that has inspired a vampiric tradition spanning 120 years, crossing form, genre and generation. The latest reimagining of this classic tale, adapted by Jenny King for the Touring Consortium Theatre Company, is utterly ingenious. I lost count of how many times I literally jumped out of my seat. The show starts with a bang, and its short and pacy scenes ensure that this intensity keeps up throughout. From moments of spine-tingling anticipation to shockingly gruesome scenes of blood and gore, I had my heart in my mouth from start to finish. 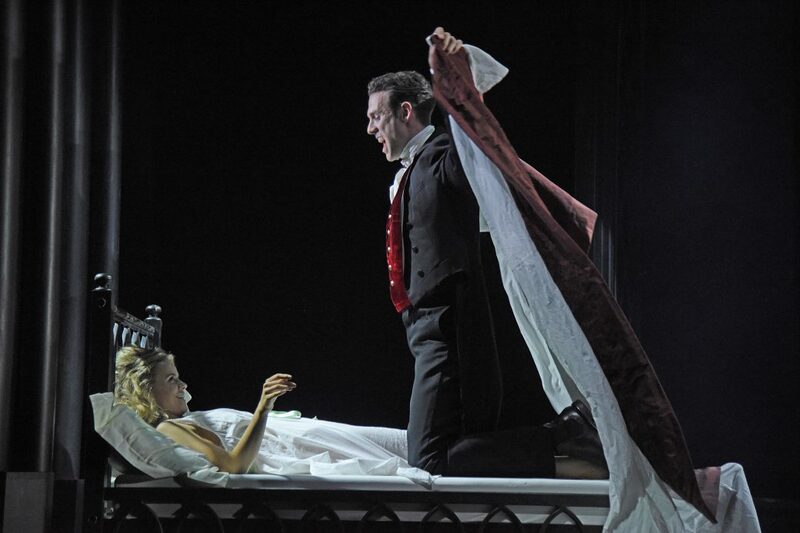 Here’s my review of Bram Stoker’s DRACULA at Wolverhampton Grand. The production is a major standout. Towering arches and columns make for dramatic staging that effortlessly transports the audience from Count Dracula’s foreboding Transylvanian castle, to Romantic English country houses, to a creepy Eighteenth Century mental asylum and back again. The light and sound effects are a powerful affront to the senses, and highly effective in creating instant intensity. Special effects were sparingly yet expertly used to create that essential sense of the uncanny – watch out for some disappearing acts! King’s adaptation shows careful consideration of how best to present this classic novel to a modern audience. She incorporates many of Stoker’s key themes, such as the typical late Victorian fear of invasion and assimilation by foreign forces, with Dracula’s passage from his native Transylvania to England and his success at learning English (albeit with that unmistakeable accent). Perhaps more impressively, King also manages to breathe new life into some of the over-done stereotypes that are often invoked in adaptations. The hyper-feminine character of Lucy, who could easily be interpreted passive and helpless, is instead rendered lively, daring and independent. She provides a refreshing contrast to Mina’s doting tendencies towards her fiancé, although even Mina is often more level-headed than her male companions, offering the more calm and collected response to their predicaments. Meanwhile, the over-the-top protectiveness of the male characters is lightly ridiculed: “I want to look after you forever”, Dr Seward implores an entirely disinterested Lucy. 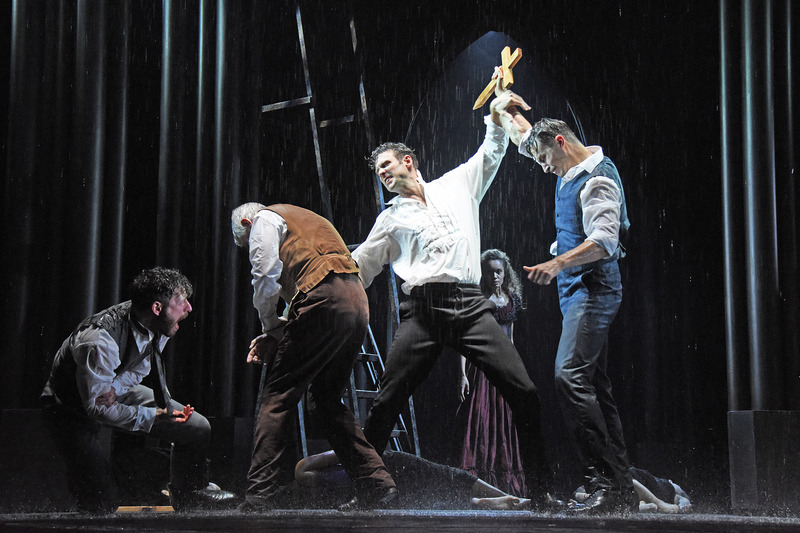 ‘Bram Stoker’s Dracula’ is showing at the Wolverhampton Grand only until this Saturday 24th November, so if you want to experience this thrilling interpretation of a classic tale then snap up tickets quickly! This review was written by Lorna Darknell, who blogs about her life as a final year Liberal Arts student here.